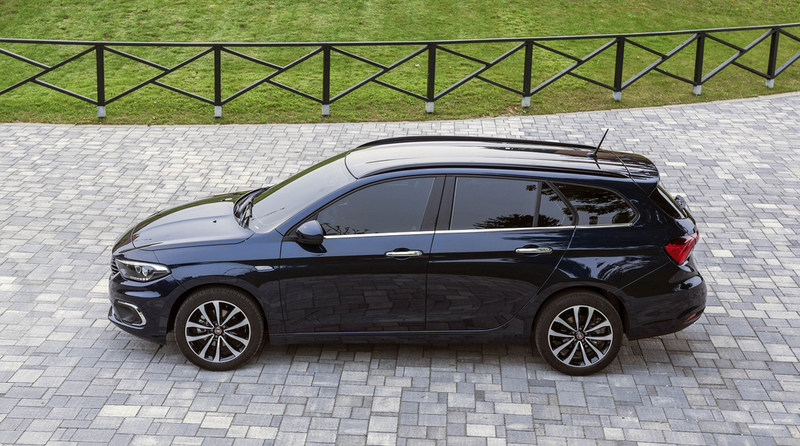 Fiat has confirmed prices for its all-new Tipo hatchback and estate model - the Station Wagon - will start at £12,995 OTR and £13,995 OTR respectively. 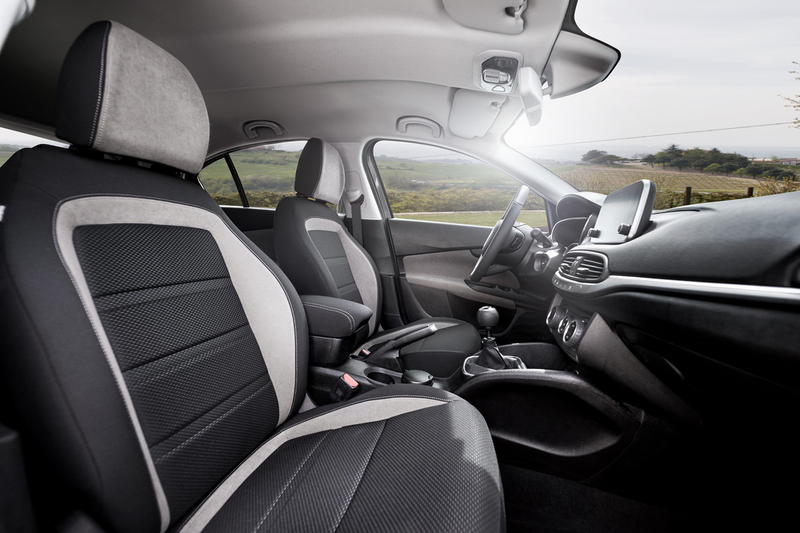 The new hatchback is described by Fiat as ‘deceptively roomy’, being capable of accommodating three six-feet-plus adult passengers in the rear, within its 4.37m long, 1.79m wide and 1.50m tall dimensions. Its boot capacity is also ‘best-in-class’ with a volume of 440 litres, while the Station Wagon version adds an additional 110 litres of boot space which, at 550 litres, is also class leading according to Fiat. It can carry loads of up to 1.8m in length courtesy of an extra 20cm of length (4.57m) and its flip-and-fold 60/40 split rear seats provide a completely flat load floor. The Station Wagon’s boot also features a low load sill with reconfigurable components such as an adjustable load floor and removable side storage panels to further increase the width of the luggage compartment. The roller covers can be removed with one hand and stored under the floor panel, while two lights, two bag hooks and four load-retaining hooks positioned on the floor provide added convenience. In terms of the model range, both the hatchback and Station Wagon will be offered in three trim levels - the names of these trim levels in the UK are to be confirmed. The engine range comprises of five in total. There are three petrol engines, a 1.4-litre 16v producing 95hp and 127Nm, a 1.4 T-Jet turbo petrol with 120hp and 206Nm and the 1.6-litre e-TorQ engine producing 110hp and 152Nm (combined exclusively to a six-speed, torque converter automatic transmission) and two turbo diesel engines – a 1.3-litre MultiJet II producing 95hp and 200Nm and a 1.6-litre MultiJet II with an output of 120hp and 320Nm. The entry-level 1.4-litre 16v FIRE delivers 95hp and is equipped with a six-speed manual gearbox as standard. It is capable of accelerating the hatchback from a standstill to 62mph in 12.1 seconds (12.3 for the Station Wagon) and both on to a top speed of 115mph. The official combined cycle fuel economy figure is 49.6mpg for both body styles and their CO2 emissions are both 132g/km. For those after something a little quicker, the 1.4-litre T-Jet (turbo petrol) engine develops 120hp at 5,000rpm and 215Nm combined with a six-speed manual gearbox as standard. The 0-62mph dash is dispatched in 9.6 seconds (9.8 seconds for the SW) and top speed for both body styles is 124mph. Official combined cycle fuel economy figures (47.1mpg) and CO2 emissions (139g/km) are also the same for both body styles. Prices for the 1.4 T-Jet start at £14,995 (mid-level hatchback). The top diesel engine in the range is the 1.6 MultiJet II turbo diesel engine, combined with a six-speed manual gearbox or Fiat’s new DDCT six-speed dual clutch automatic transmission. It produces 120hp and the manual model is capable of accelerating to 62mph from a rest in 9.8 seconds (10.1 in the SW), while the top speed, official combined cycle fuel consumption figure and CO2 emissions are the same for both bodies – 124mph, 76.3mpg and 98g/km respectively. Full performance and economy figures for the DDCT will be announced shortly. 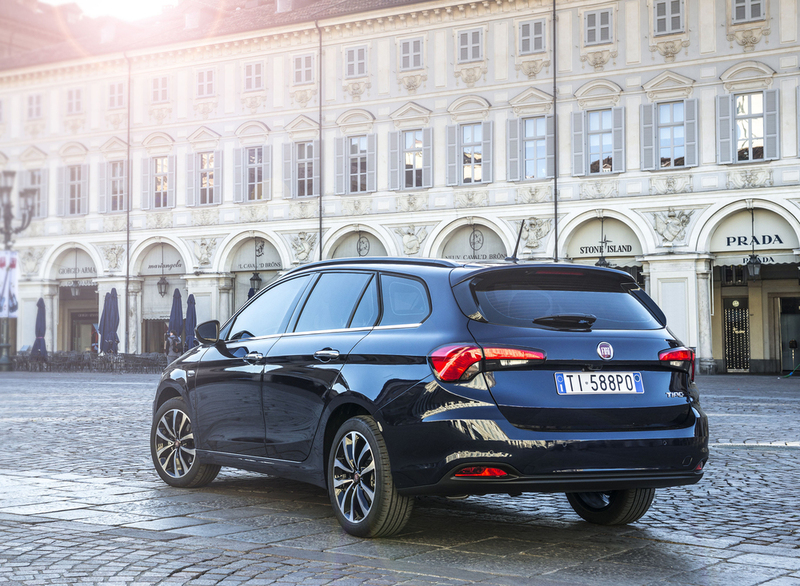 The Fiat Tipo was designed in Italy by the Fiat Style Centre, developed in Turkey together with Tofaş R&D, one of FCA's largest research and development centres, and made in the Tofaş plant in Bursa – which has received a World Class Manufacturing Gold Medal. 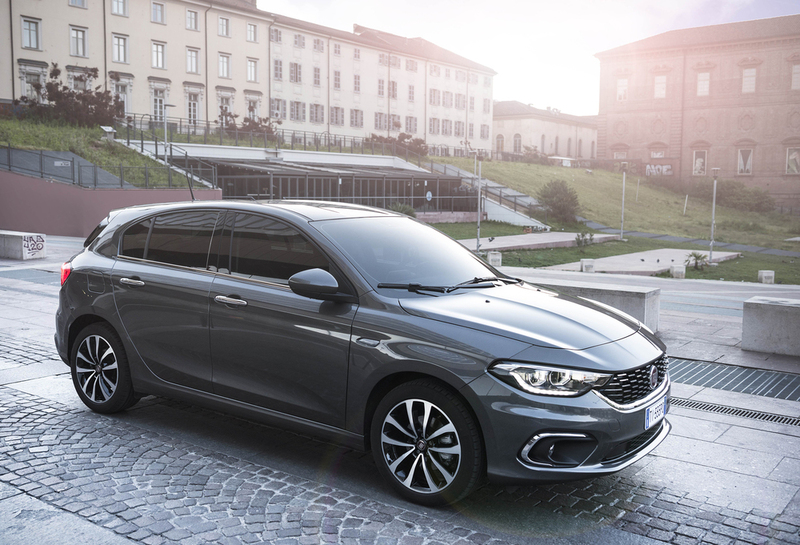 The all-new Fiat Tipo goes on sale in the UK in September in hatchback and station wagon body styles.